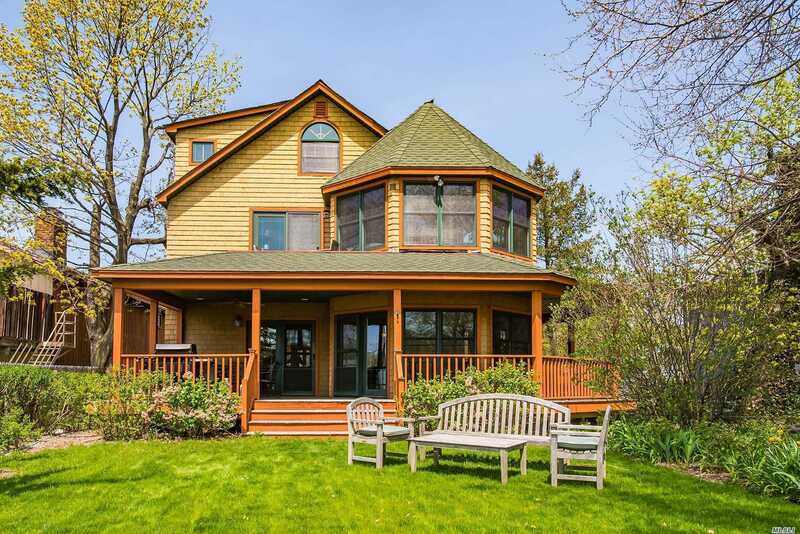 Historic Waterfront Victorian Combines Traditional Character W/The Casual Comfort Of A Vacation Home. Seaside Living Yet Steps To Town, This 1912 Inn Has Been Completely Renovated & Reimagined. Open Concept Main Level W/2 Story Bay-Facing Turret Room. Wrap Porch, Hand Built Stone Double Fplc, Farmhouse Kitchen W/Hickory Cabinets. Breathtaking Views From Livingroom, Deck, Master Suite & Balcony. Sun Drenched 3rd Fl Artist'S Loft. Mooring Rights & Sound Side Beach Rights... See Video!